What did you think about our last meeting? Refreshments will be served. Come early and be sure to bring a guest! The FCC has recently concluded a radio spectrum auction above 608 MHz. T-Mobile has spent $8,000,000,000, the largest amount of any auction winner, and is testing and energizing above 608 MHz now. This SBE discussion will review the spectrum auction, TV repack fallout and final affect on to wireless microphones, intercoms and IFB systems, where in the spectrum we will be able to continue to operate. The presenter has been in direct contact with T-Mobile and will present an update on their operations. Once the auction winners energize in South Florida above 608 MHz, it becomes illegal to operate a wireless audio device in that band. It is already illegal to manufacture or sell wireless audio equipment above 608 MHz with few exceptions all of which will be discussed. About the Presenter: James Stoffo authored the RF Coordination and Procedures manual for the Olympic Committee and has worked as the Frequency Coordinator for the World Cup, NBA All Star and Rose Bowl games. He also has worked as the wireless microphone and intercom engineer for multiple Super Bowls, Latin and US Grammys and Billboard music awards, Country Music Awards and Soul Train live broadcasts. James currently is the founder of Radio Active Designs, the newest wireless intercom manufacturer in our industry. From the Florida Turnpike Extension - Exit 836 east. Go east on SR 836 approximately 1.5 mile and exit north on NW 87th Avenue. Head north on 87th Avenue to NW 18th Terrace. Turn west - the facility is approximately 1000 feet on the south side of 18th Terrace. From the 826 - Palmetto Expressway - Exit 836 west. Go west on SR 836 approximately 1/2 mile and exit north on NW 87th Avenue. Head north on 87th Avenue to NW 18th Terrace. Turn west - the facility is approximately 1000 feet on the south side of 18th Terrace. 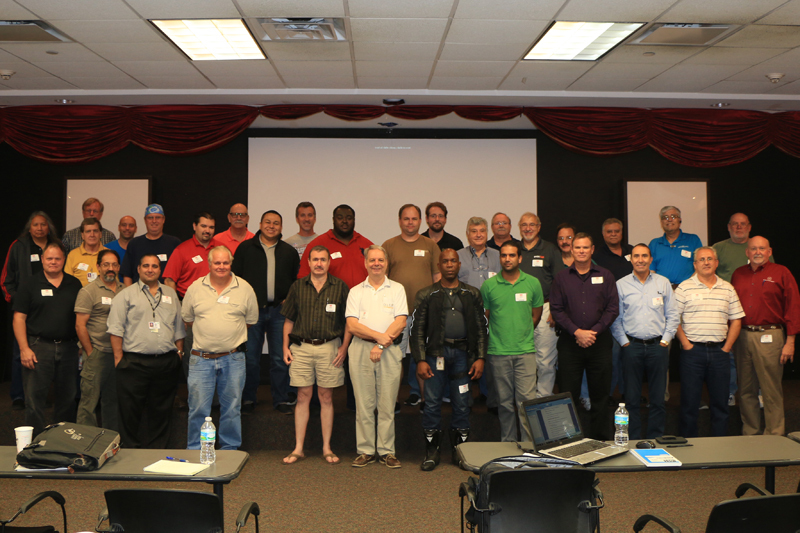 SBE Chapter 53 wants to thank everyone who attended the 'IT Seminar and CBNE Workshop' in October, 2014. We especially want to thank American Tower, Broadcasters General Store, Nemal, and Clear Channel for their generous support of the seminar and SBE Chapter 53. We also want to thank you, our attendees and members for making this a great seminar. The seminar does count toward your continuing education credits. If you attended the seminar, please be sure to make a note of your attendance for credit. Please let us know your thoughts on the seminar. Do you have an ideal for a meeting? Please let us know at SBE53. Check back for updates on meeting topics. As always, refreshments will be served. Please remember, you don't have to be a member to attend, and be sure to bring a guest.